It is always a frightening thing to hear about a school bus accident due to the fact that if any passengers were on board at the time of the accident, they were most likely children. According to the crash statistics compiled by the Oklahoma Highway Safety Office, in 2014, there were a total of 192 school bus crashes and 80 injuries as a result. Unfortunately, this number increased in 2015 to 204 school bus crashes with a total of 99 injuries. These results are very disturbing and need to be given serious attention. 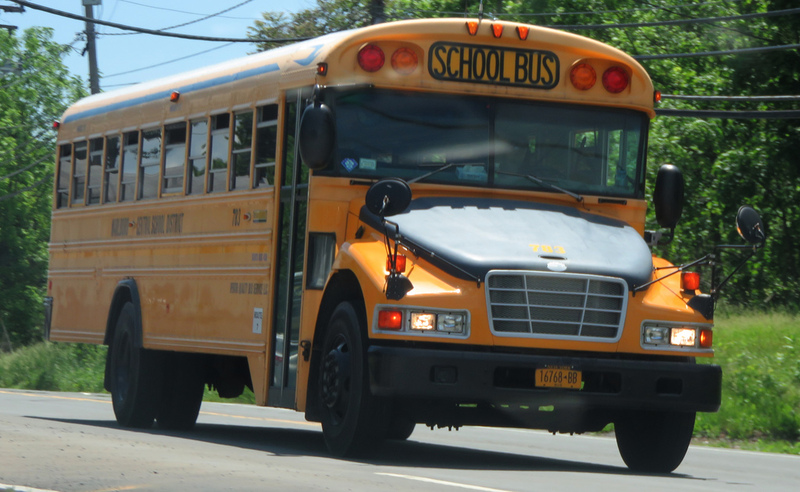 Any school bus accident can result in severe damages. Whether another vehicle was involved in the accident or the school bus crashed on its own, there needs to be proactive approaches put in place to help address the common causes of these school bus accidents and hopefully reduce the numbers as a result. Several children suffered non-life-threatening injuries in an Oklahoma City school bus crash. According to a report in The Oklahoman, the incident occurred at the intersection of Morgan and Hefner roads. The bus was traveling north on Morgan Road when the driver of a pickup traveling south tried to make a left turn. The pickup and the bus collided. Several children on the bus were treated for scrapes and released to their parents. Two teen girls in the pickup were hospitalized, but reported in “good” condition. The investigation is ongoing. Ten students were injured in an Oklahoma vehicle accident when their school bus crashed into a light pole. According to a News On 6 news report, the school bus carrying high school students crashed near Stillwater High School. The students were in Stillwater for a track meet. Several students complained of back and neck pain and were transported to a nearby hospital. Officials have not released information regarding why the accident occurred. A bus carrying more than 40 people was on its way to Oklahoma when it went off the roadway and crashed, killing two people and injuring at least 36. The Associated Press reports that the fatal bus accident occurred on President George Bush Turnpike in Irving, Texas. Officials say the bus was weaving across the highway before striking two concrete barriers and toppling on to its side. A 19-year-old Sasakwa man was killed in a recent Oklahoma school bus accident. According to a report by The Oklahoman, the fatal car accident occurred on State Highway 56 south of Wewoka in Seminole County. Officials say the teenage driver struck a vehicle and then crashed into the rear of a school bus carrying 23 students. A female motorist was injured in an Oklahoma traffic accident after the vehicle she was driving collided with a school bus. As reported by The Oklahoman, the school bus accident occurred near SW 129 and May Avenue in Oklahoma City. Officials have not released information regarding who was responsible for the crash. The mother of the car’s driver says that her daughter was injured in the Oklahoma City school bus crash. No children were injured in the collision. A school bus driver and seven students were injured in an Oklahoma City intersection car accident involving a hit-and-run driver. According to The Oklahoman, the school bus accident occurred at Classen Boulevard and NW 89 in Oklahoma City. Officials say a four-door Chrysler Sebring ran the stop sign and struck the bus, forcing it to tip over to its side. The driver and students in the North Highland Elementary bus were hospitalized following the crash. The severity of their injuries is not known. The female driver of the car fled the scene of the crash on foot. At least one person was injured in an Oklahoma City car accident involving a collision between a school bus containing 10 children and a car. According to a KOCO news report, the school bus accident occurred near Southeast 15th Street and Choctaw Road in Oklahoma City. Officials say the school bus was about to turn left when a car rear-ended it. None of the children were injured, but the driver of the car was taken to a nearby hospital with non-life-threatening injuries. It is not clear if the bus was using a signal or why the collision occurred. Six students, a baby, and the driver of an SUV were injured in an Oklahoma car accident involving a school bus. According to a KOCO news report, the school bus accident occurred near NE 39th Street and Anderson Road in Oklahoma City. Officials say the bus was transporting students from Roger Middle School when it collided with the black SUV. The driver of the SUV and an infant were transported to the hospital. Of the occupants on the bus, six students were transported to a local hospital for observation. It is unclear what caused the crash or if either driver will face citations for the collision.